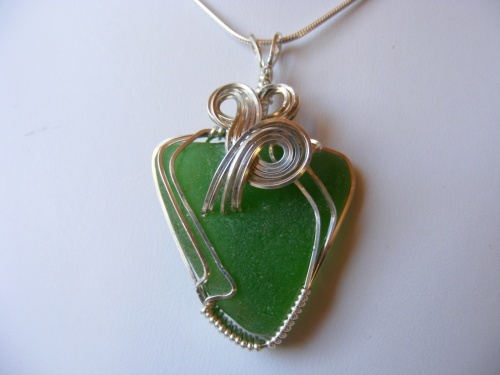 This gorgeous piece of authentic seaglass was picked on the shores of my frontyard beach. Elegantly sculpted with sterling silver swirls it is so unique and truly one of a kind to have. Piece measures 1 3/4" by 1" and comes with a sterling silver snake chain.